﻿ Millwood Inn & Suites Millbrae, San Francisco (CA) | FROM $119 - SAVE ON AGODA! "The American breakfast was really good and even the coffee m..."
Have a question for Millwood Inn & Suites Millbrae? 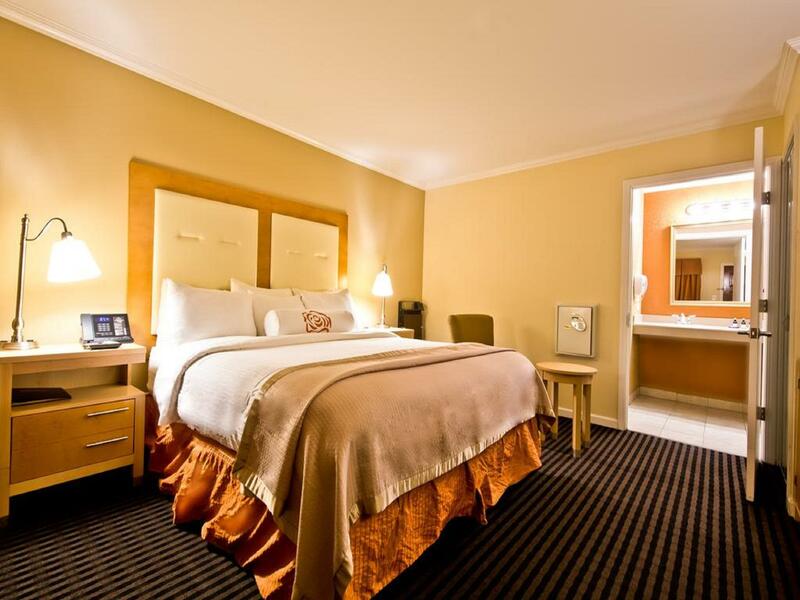 Well-placed in the sightseeing, shopping, business area of San Francisco (CA) city, Millwood Inn & Suites Millbrae provides a most conducive spot for you to take a break from your busy days. From here, guests can enjoy easy access to all that the lively city has to offer. A haven of rest and relaxation, the hotel will offer total renewal just steps away from the city's numerous attractions such as Marina Vista Park, Green Hills Country Club, Union League Golf and Country Club. 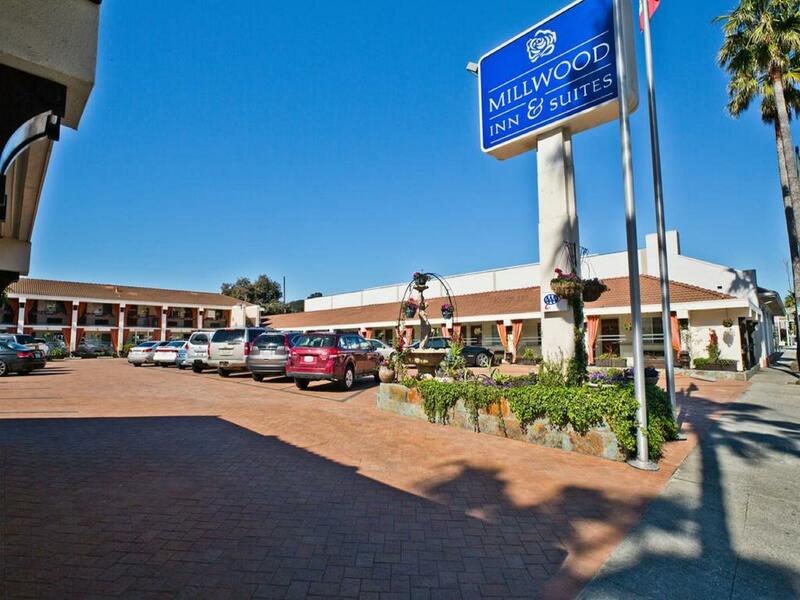 Offering hotel guests superior services and a broad range of amenities, Millwood Inn & Suites Millbrae is committed to ensuring that your stay is as comfortable as possible. Free Wi-Fi in all rooms, 24-hour front desk, facilities for disabled guests, luggage storage, Wi-Fi in public areas are just a few of the facilities that set Millwood Inn & Suites Millbrae apart from other hotels in the city. The hotel features 34 beautifully appointed guest rooms, many of which include television LCD/plasma screen, internet access – wireless (complimentary), non smoking rooms, air conditioning, desk. Throughout the day you can enjoy the relaxing atmosphere of the fitness center. With an ideal location and facilities to match, Millwood Inn & Suites Millbrae hits the spot in many ways. "Very comfortable for a group of four." Front desk clerk was not very friendly and was short tempered with us when we asked a question . I have never met such unfriendly lazy reception staff before. None of them should be working with the general public. Each request, whether it be rhe schedule for the shuttle bus, or not being blasted with piped music and the tv simultaneously at 6am in the breakfast room -was met with a heavy sight and eye rolling. The opposite of friendly. Yes it is close to the airport but it is an old motel, run-down and lacking the amenities a good 3 star hotel should have. For a few dollars more it is better to book the Marriott Courtyard or La Quinta. We did not have to wait long for the free shuttle bus from the airport and the return trip was just as good as it was booked the night before by the hotel receptionist and it arrived at the exact time as the booking. It was also free. The shuttle buses are shared by a few different hotels in the vicinity. The room was large and had the biggest TV screen I've ever seen in a hotel room. We watched an NBA game in HD. Brilliant. The American breakfast was really good and even the coffee machine and coffee blend were excellent. The bathroom was well equipped and we even used the shared coin-operated washer and dryer to catch up with our dirty clothes. It was fairly expensive but it was better than some five star hotels that we have stayed so all in all it was still reasonable value. Couldn't sleep because an elephant was staying in the room upstairs. 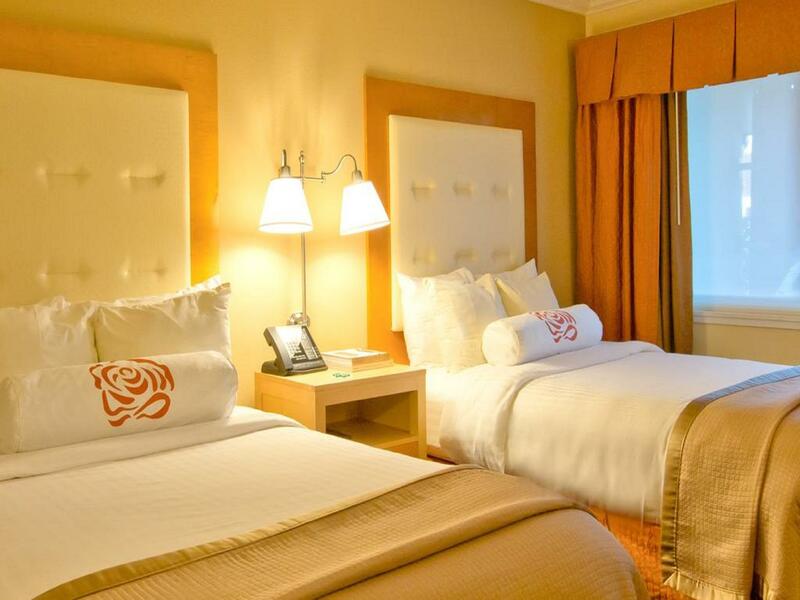 Large room with efficient equipment and amenities. Conveniet location to SFO, super market and inexpensive neighbors staurant. Good breakfast. It was much more than I had expected to this kind of motel. I picked this hotel because of location, airport shuttle facility, comfort and pricing after reading the reviews. I only stayed one night, arriving after midnite and had to catch a morning flight the next day to return home. I had spent 3 weeks in the US, arrived in San Francisco at the start of my trip but stayed in a different hotel. All I can say is I will return to this hotel on my next trip to San Francisco. Needed to upgrade to a suite because the business centre was not adequate. Staff very welcoming and accommodating. Very good. Friendly environment. Location was close to destination. Close to area, comfortable room, free shuttle. Just a quick overnight stay to catch an early a.m. flight. Very comfortable and quiet, even though the hotel is an old style U-shaped property with all rooms facing a central parking lot. I have marked skiing for the reason to stay here, there is no option to mark airport!!!!! the main reason i believe most would stay here. We chose Millwood Inn for its proximity to the airport. We knew they offered a free shuttle to and from the airport as well as breakfast in the morning. The room was so clean and comfy. We were supposed to have a queen sized bed, which it was not, but we were still quite comfortable so it was not an issue. The biggest surprise was the breakfast the next morning. We expected coffee and bagels, which they had, but that was just the beginning. They had omelets, waffles, sausages, potatoes, danishes, tea, and two kinds of juice. Wow, we filled up before hitting the town via the muni(bus) which was just across the street. Also, the shuttle company made a mistake and forgot to pick us up, but the receptionist got on the phone and got it handled without a problem for us. Great service, clean place, helpful staff and yummy breakfast included...perfect for an overnight by the airport!